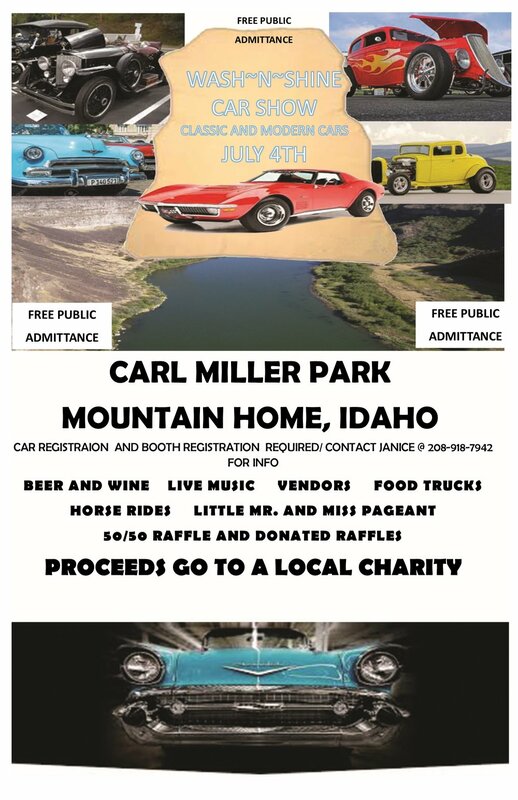 On July 4th, head down to Carl Miller Park for the free Wash 'n' Shine Car Show at 10:00 am. Enjoy some live music, food trucks, horse rides and beer and wine. The following Car Awards will be presented: Best in Show, Best Street Rod, Best Work in Progress, Best 4x4 Truck, People's Choice, Mayors Choice, Best Lowrider, Best Custom and Best Import. **There will be a $10 car/bike registration fee and $25 booth registration. The Little Mr. & Mrs. Pagent and 50/50 Raffle and Donated Raffle will also take place during this time.